WASHINGTON - The Obama administration on Tuesday accused agents of the Iranian government of being involved in a plan to assassinate the Saudi ambassador to the United States. Secretary of State Hillary Rodham Clinton said the thwarted plot would further isolate Tehran. "The United States is committed to hold Iran accountable for its actions," Attorney General Eric Holder told reporters during an afternoon news conference. Two people, including a member of Iran's special operations unit known as the Quds Force, were charged in New York federal court. Inside U.S. District Court in Manhattan, CBS News producer Pat Milton reported that one of the persons charged, Manssor Arbabsiar, 56, appeared a bit nervous and was looking around. Assigned to a public defender, Arbabsiar agreed to temporary detention without bail. 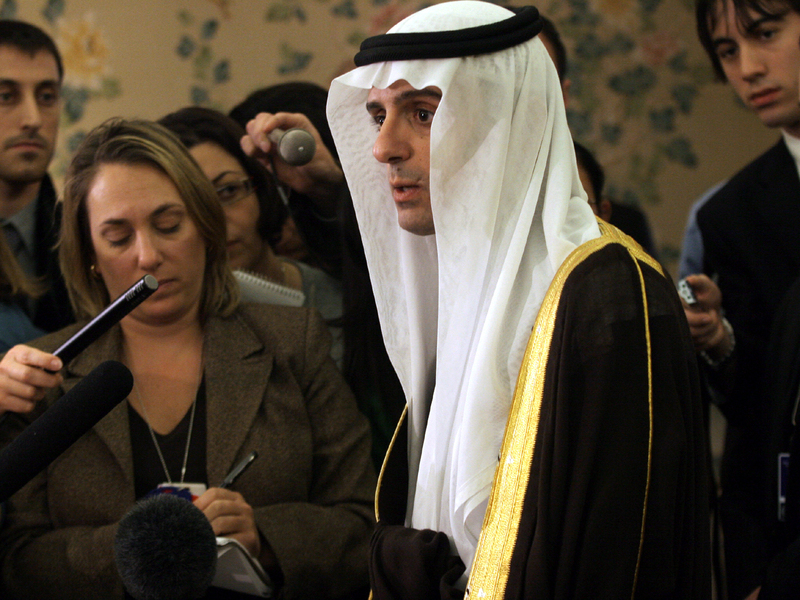 Justice Department officials say they were working with a person they thought was an associate of a Mexican drug cartel to target the Saudi diplomat, Adel Al-Jubeir. But their contact was an informant for the Drug Enforcement Agency who told U.S. authorities about all their planning. FBI Director Robert Mueller said many lives could have been lost in the plot to kill the ambassador with bombs in the U.S. But Preet Bharara, the U.S. attorney in Manhattan, said no explosives were actually placed and no one was in any danger because of the informant's cooperation with authorities. "Though it reads like the pages of a Hollywood script, the impact would have been very real," Muller told reporters. "These individuals had no regard for their intended victim, no regard for innocent citizens who might have been hurt or killed in this attempted assassination. They had no regard for the rule of law. With these charges, we bring the full weight of that law to bear on those responsible." Saudi Arabia has thanked the U.S. government for preventing what it says was a "despicable" terror plot against its ambassador to the United States. The Saudi Embassy in Washington said the assassination plot is a "despicable violation of international norms, standards and conventions and is not in accord with the principles of humanity." The Saudi statement made no mention of the Iranian government. Secretary of State Clinton told The Associated Press the plot would further isolate Iran as the United States put those allegedly involved under sanctions. "This really, in the minds of many diplomats and government officials, crosses a line that Iran needs to be held to account for," she said. In addition to the U.S. Treasury Department sanctions imposed today, the Iranian-backed assassination plot is sparking discussion at the U.N. for a Security Council meeting to impose a fifth round of targeted sanctions against individuals in Iran, hoping to further isolate Iran for its role in terror, said CBS News Foreign Affairs Analyst Pamela Falk, from the U.N.
"We will not let other countries use our soil as their battleground," Bharara said at the news conference in Washington. The suspect, Manssor Arbabsiar, a 56-year-old U.S. citizen who also holds an Iranian passport, was charged along with Gholam Shakuri, who authorities said was a Quds Force member and is still at large in Iran. The complaint filed in federal court says Arbabsiar confessed that his cousin, Abdul Reza Shahlai, was a high-ranking member of the Quds Force who told him to hire someone in the narcotics business to target Al-Jubeir and that Shakuri was his cousin's deputy who helped provide funding for the plot. According to CBS News correspondent Bob Orr, sources say Arbabsiar spoke of wanting to attack embassies of Saudi Arabia and Israel. Orr also told CBS Evening News anchor Scott Pelley how officials took Arbabsiar into custody. "He was tricked into going back to Mexico last month to allegedly meet with the hit squad. He was told in fact he'd be held as personal collateral until the murder contract could be paid in full. But when he got to Mexico, the authorities were in on that sting, so they shipped him to New York, and the FBI were waiting." Arbabsiar was arrested Sept. 29 at New York's John F. Kennedy International Airport. Prosecutors said he faces up to life in prison if convicted. President Obama was first briefed on the plot in June, said White House spokesman Tommy Vietor.